Save time by downloading all the calendars on this site - Hebrew and Gregorian - through the end of 5779 and 2019. The collection will be ready to open and print using your favorite PDF reader. You can pay using your PayPal account or credit card. 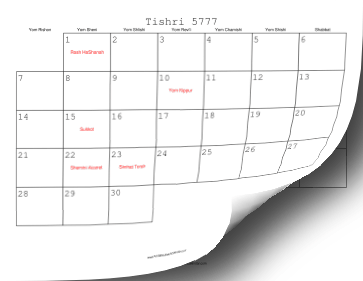 You'll be able to download the Jewish calendar collection within moments.